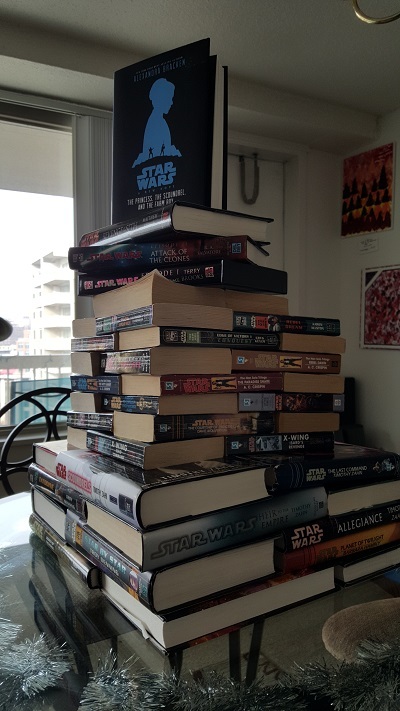 During a saga re-watch a few years ago I pulled out all my books as a decorative centerpiece. Behold my tower of Legends – and a Canon book by Alexandra Bracken. I still perk up when I hear about a Star Wars themed bar, smile when I see a “Han Shot First” t-shirt in a crowd, and laugh when someone drops an obscure line from Empire into a normal conversation. However, lately I’ve found my lack of faith disturbing. In recent months, I’ve been struggling to find a spark of excitement for the galaxy far, far away. 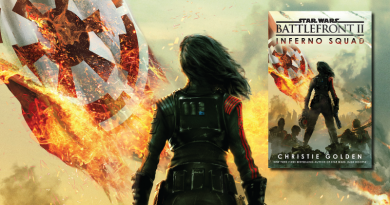 While I enjoy the new movies (though it takes me longer to figure out if I like them), I still find myself reaching for something elusive, some unattainable sense or expectation, that Star Wars needs to be perfect in order for me to love it. On one level I recognize that this is really a reflection on broader outside events — where even my relentless optimism is constantly taking a beating. Where unkindness has become default. On another, and I’ll emphasize that this isn’t an essay about not being critical, it is about being exhausted by the constant barrage of information on the narratives being built. Of course, it is extremely important that we ask more from what we consume when we are inundated by constant media and storytelling. But I have to admit that the exhaustion stems from a need to always have to play checks and balances on things we love, while we are also fighting similar issues in the real world. Necessary, but often disheartening, conversations as culture and life are often intertwined (and I’ll admit, I’m not as vocal as I sometimes should be). Understanding this, I still am flummoxed by the degree to which my passion and connection to Star Wars has waned. 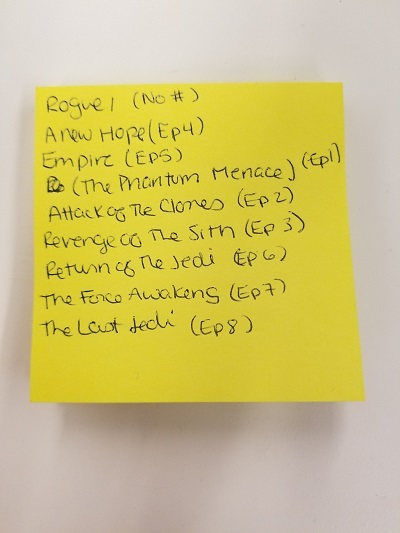 A sticky note I gave to a friend of mine who was watching the new movies for the first time. Not a definitive way to watch the movies, but an order. Nothing illustrates my feelings more than my experience after seeing Solo: A Star Wars Story. On one hand this was a movie that I enjoyed from the overall story down to the music, and yet I still questioned story choices (specifically Val’s fate, and the symbolism of L3’s future existence – though I wasn’t as offended by that as many others are). I have to say, even though the movie wasn’t entirely necessary, I still actually found a glimmer of the old joy in watching it. 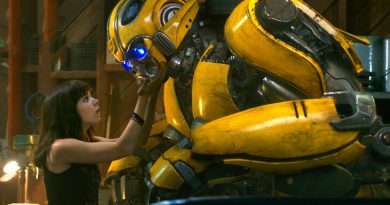 And yet, I am constantly agitated by conversations about why the movie isn’t doing well, resulting in a dissatisfaction that makes it all – not fun. With this in mind I have to ask myself a very important question. Why do I love Star Wars? A few years ago my answer would have been, first and foremost, the story. But even before Disney’s acquisition of Lucasfilm those had become overly dark and frustrating. Today I think I would say I’m drawn by the community, a sense of belonging, that regardless of its unfulfilled potential the GFFA holds a storytelling space filled with a promise of honor. Having just seen the Camelot (a musical about honor and compassion) — it is an endless reaching for Utopia — one that is constantly foiled by human nature and failure. But it is that reaching, that hope, that matters the most. Speaking for myself, wanting something to be better does not mean you can’t love it at the same time. 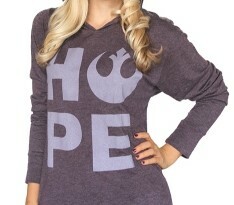 But a glimmer of hope. Every year at DC’s Awesome Con is a panel called Rampant Speculation in a Galaxy Far, Far, Away (hosted by Bria LaVorgna). The session involves a panel of fans responding to a series of rapid fire questions as a way to speculate on the current and future state of the franchise, sans spoilers. This panel was ridiculous, ludicrous, and just what I needed. What the internet provides in terms of instant connection and information, it fails in providing the tactile, in-person engagement. 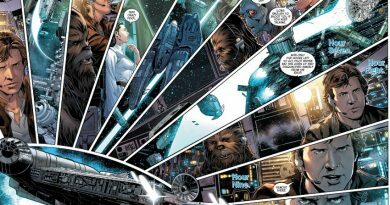 The energy I felt in hearing other fans talk about existing stories was coupled by a curiosity about a world of new comics and characters I had yet to experience. 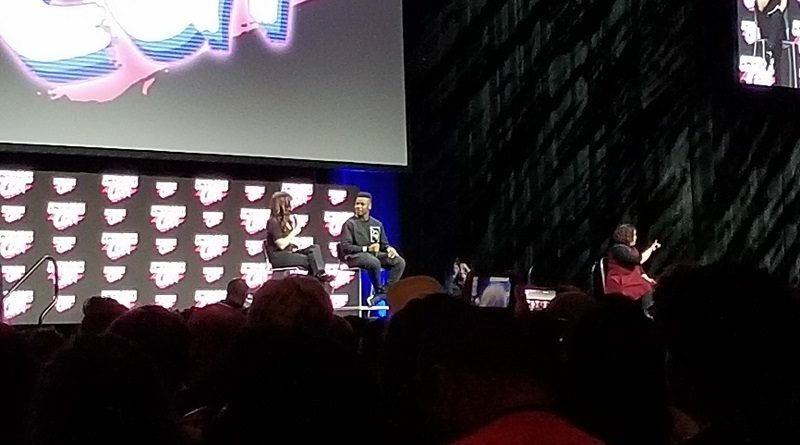 This connection continued to thrive during the keynote Q&A with John Boyega. Despite my slow simmer appreciation of the new movies, one thing is true: I love that John Boyega, Oscar Isaac, Daisy Ridley, and Kelly Marie Tran are a part of this universe. The passion Boyega exhibited in talking about his appreciation for Star Wars, working with these amazing actors, and his love for other equally nerdy things was infections. So I’m going to try (or perhaps, as Yoda says, do) and dig a little deeper. Accept the things I cannot (immediately) change and look for some of that joy again. But I need a little help finding a place to start. What are you connecting with in the GFFA right now? Let me know and I’ll try and share my journey along the way. P.S. : We might also call this a journey to Star Wars Celebration since I accepted my fate and bought a five day pass before it sold out. Chicago, here I come.